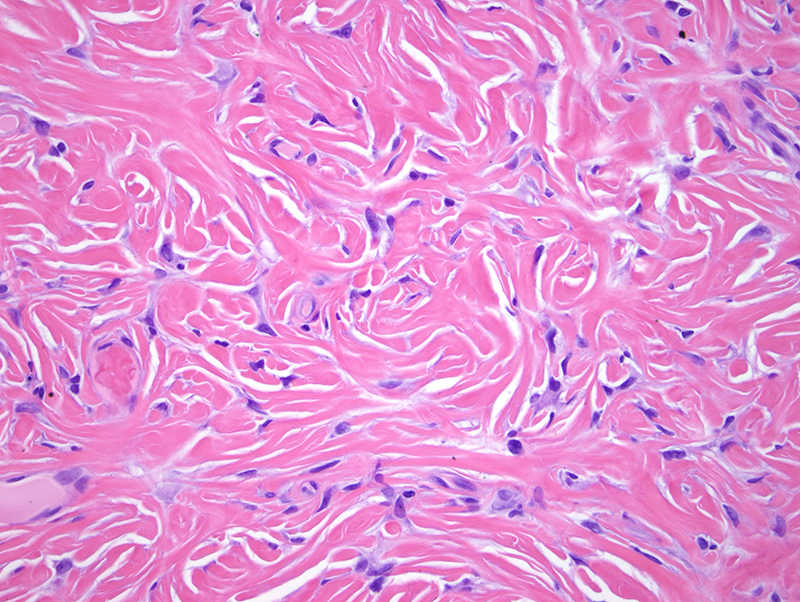 Storiform collagenoma/sclerotic fibroma usually presents as a solitary, solid, nodular and painless mass in the head and neck region, extremities, trunk and not infrequently in the nail bed. 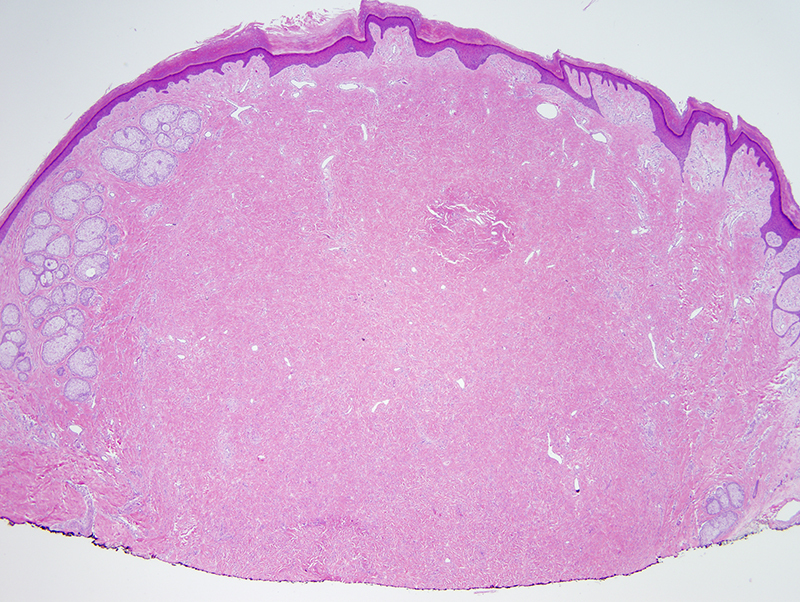 Multiple lesions occur in the setting of Cowden syndrome. The tumor has also been reported to arise in patients with Rubinstein-Taybi syndrome. 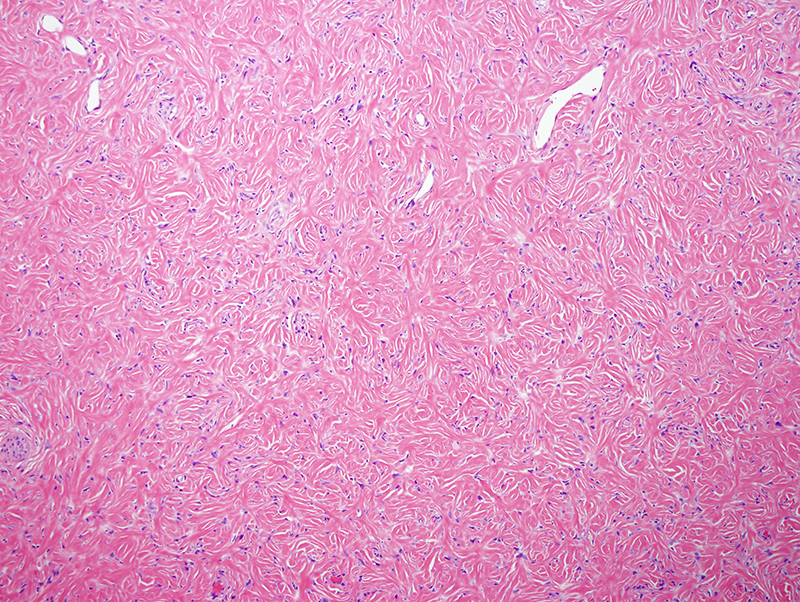 The tumor is paucicellular and composed of bland appearing spindle cells surrounded by a dense collagen matrix.